Update 5:45 p.m. 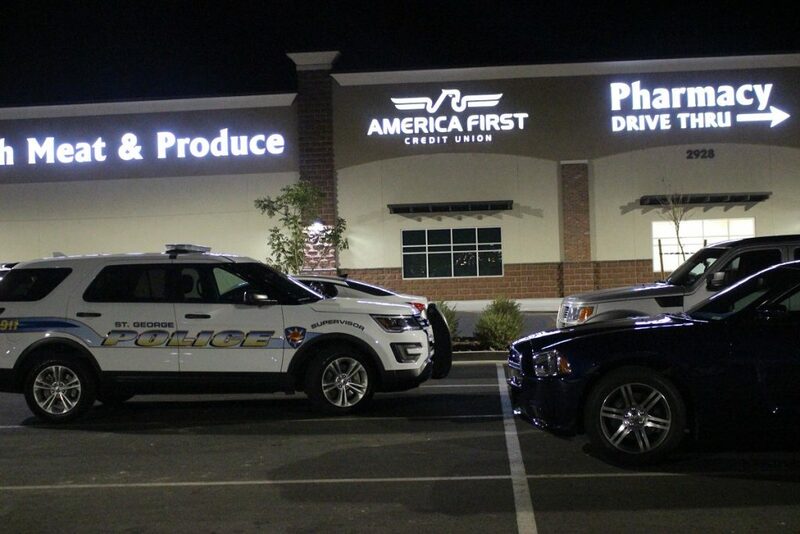 The man suspected of robbing America First Credit Union Wednesday evening has been identified, according to a post on the St. George Police Department’s Facebook page. The man is no longer in the area, so the arrest is being handled by the FBI. After the arrest is made, more information, including the suspect’s name, will be released. 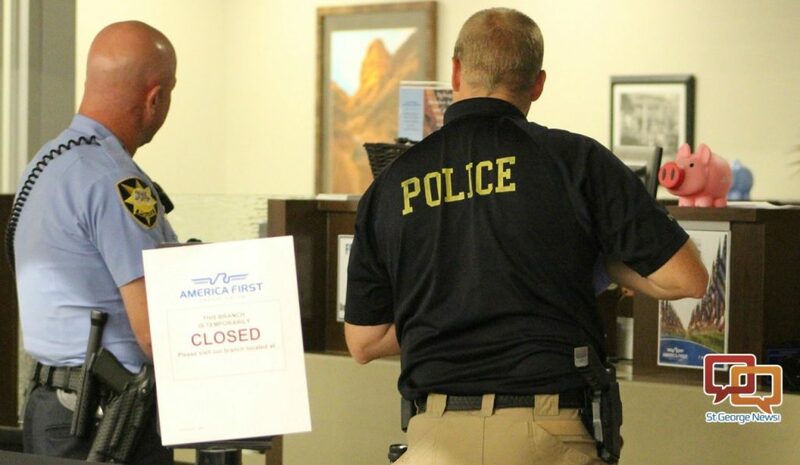 ST. GEORGE — A few minutes before 7 p.m. a man walked into America First Credit Union inside Lin’s Market at 2928 E. Mall Drive and demanded money as he threatened the bank teller, claiming that he had a gun, according to police. Officers and detectives from multiple agencies responded to the credit union and discovered the man had fled with an undisclosed amount of cash and was last seen leaving through the front entrance of the store, St. George Police Department Public Information Officer Lona Trombley said. The FBI was called in and responded a short time later. 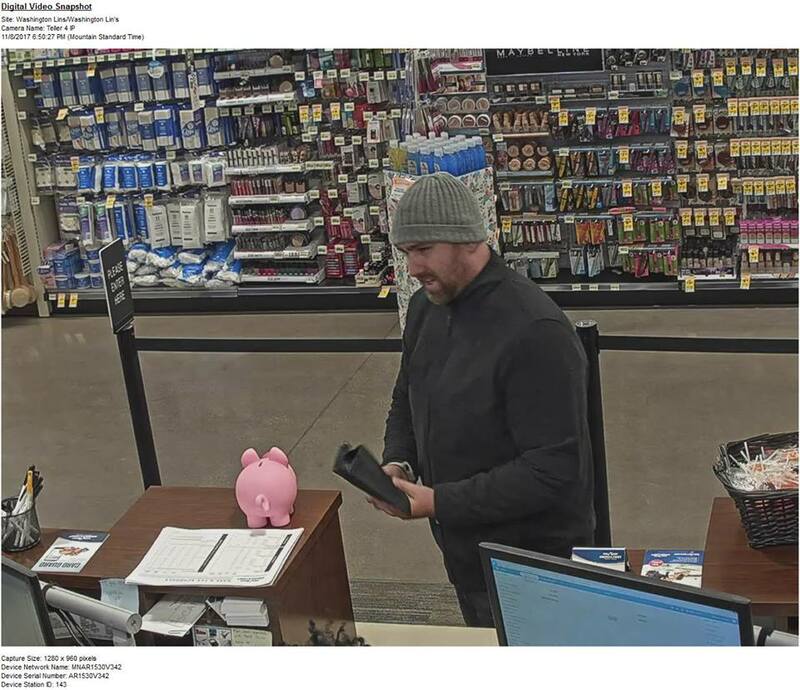 The incident was initially reported as a panic alarm that was activated, Trombley said, but when dispatch contacted American First they learned a robbery had occurred. 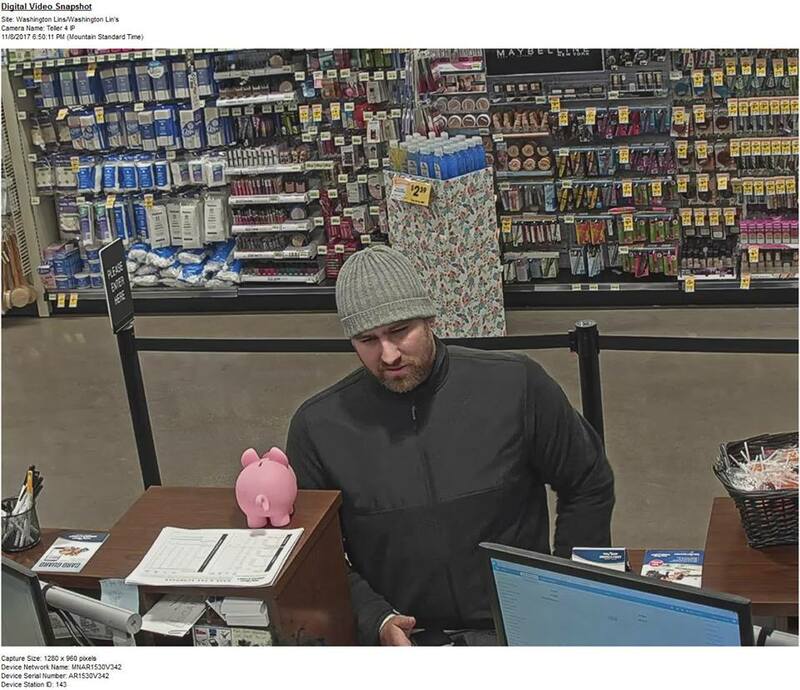 Credit union employees told investigators the suspect verbally threatened one of the tellers, claiming he had a gun, but never showed the weapon to the teller. 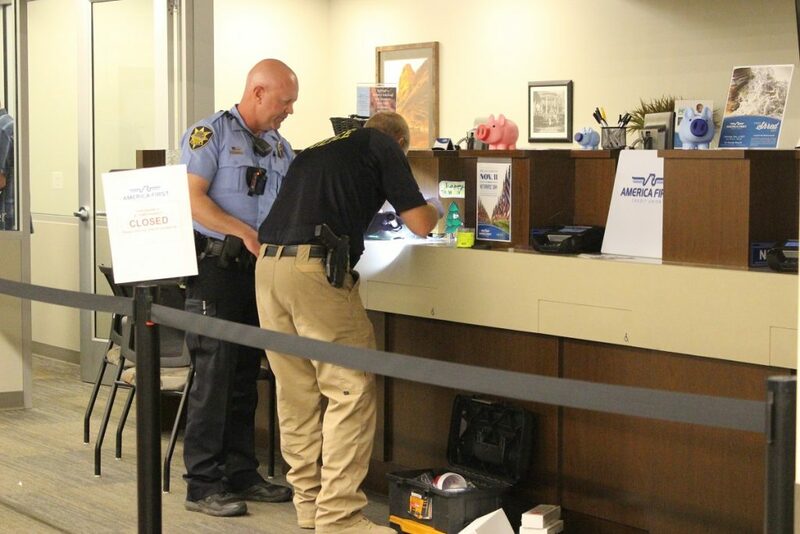 Investigators and detectives processed the scene and pulled surveillance footage from the bank. “We have very clear images of the suspect,” Trombley said. According to several witnesses, the robbery occurred while the grocery store was busy with a rush of customers. The suspect is described as a white male in his 20s with a medium beard. 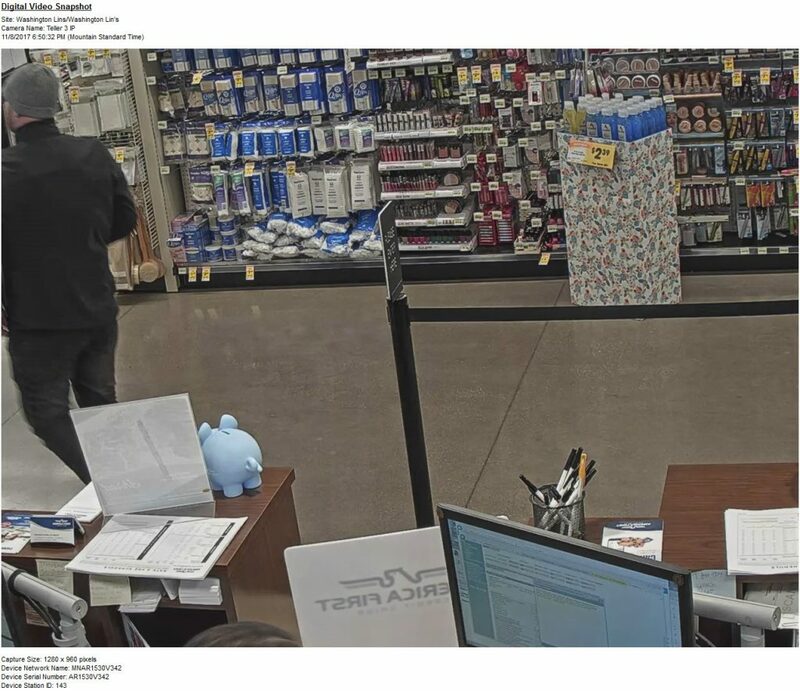 He is about 6-feet tall with a medium build and was wearing a gray beanie, black jacket, black pants and brown shoes. The St. George Police Department, Washington City Police Department, Washington County Sheriff’s Office and the FBI responded to the scene. St. George Police, we need to talk. No one is going to remember an incident number, especially one that looks like a default wi-fi password. Also, there aren’t enough bank robberies in St. George that we need to assign incident numbers to them. As your spokesman so insightfully stated in this very article, referring to the “bank robbery inside of Lin’s” should be quite adequate to identify the incident. I think I am correct if I say that you are lucky if you get any solid tips from the public at all, yes? Arbitrarily complicating the process seems counter-productive. Excellent photographic quality images of the bad guy. Dramatic improvement over the typical image we are given…..